Greeting to all , I am Danniel Ruyange, Founder & Chief Coach of The Academy established in the year 2012 and ever since it’s growing and gaining more popularity. We are now kindly seeking for financial support, donations and funding’s, used up tennis equipment’s (tennis racquets, Red orange & green balls, mini & standard nets, strings, grips , clothing’s, shoes etc. )And Scholarstic materials (tuition, books, text books, pens, pencils etc.) from around the world to any persons interested to assist in any kind of form, big or small we shall highly appreciate it. We promote and Introduce tennis in communities most especially schools and underprivileged children who can’t really afford basic necessities of life, therefore we try to keep them out of streets and troubles through our tennis development programs to support them. Vist: www.socialtennis.com/roltennisacademy or www.facebook.com/roltennis . WHY FUND ROL TENNIS ACADEMY. ROL TENNIS ACADEMY Sustainable Development Goals (SDGs) have laid down an unprecedented ambition to address a myriad of problems faced by Children interested in joining sporting activities. However, challenges are mounting especially with respect to child protection and Gender inequality and these require urgent attention, and quick pragmatic action ROL TENNIS is now active in taking the cause of children forward, especially girls and Children living in poverty, who are deprived of their basic rights to quality education, health care, and participation in sports activities? a) Provide a national platform to foster dialogue and develop sustainable and innovative ideas to address the core issues of understanding and awareness about the causes and consequences. b) Address glaring gaps, advocate and mobilize support and develop knowledge management systems to ensure effectiveness of relevant programmes. c) Bring the voices of the most vulnerable in society through our sport, to the forefront, and by engaging relevant stakeholders. ROL TENNIS ACADEMY wants to ensure “that children are given opportunities and Facilities to develop their talents in a healthy manner and in conditions of freedom and dignity and that childhood and youth are protected against exploitation and against moral and material abandonment. Most of these talented Children are in especially difficult circumstances and when their basic needs for food, shelter, education, medical care, or protection and security are not met. There is a great risk of greater misery. Place of Stay (shelter), Children living in slums, Migrant Children, Children of Prisoners, Street Children, Children living in poverty, Abandoned and homeless children, Begging children, Child labor, Children in severe poverty, Children affected by violence, Children subjected to abuse, Children in prostitution, Children of prostitutes, Sexually exploited children, Children working in hazardous occupations, , Children affected by social customs like child marriage, Children and disability, Orphan children, Children born as eunuchs. All the above mentioned children in different difficult categories are some of the challenges we face as the academy to promote and introduce this beautiful sport of tennis to them, but there is a need for stakeholder, partners, sponsors, donor’s and funders to come on board for financial support to work hand in hand with the academy to turn most of these injustices and horror’s into positives through our tennis programs. 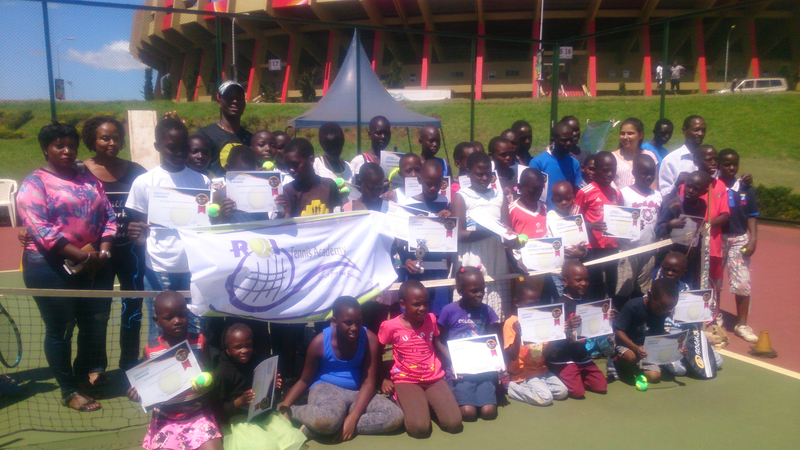 ROLTENNIS ACADEMY is a nationally registered Non-Profit Organization with the Inspiration history of lawn tennis in Uganda which promotes determination and courage to under privileged kids, children, youth and adults with specialization in tennis development programs in the community (“KEEPING TENNIS ALIVE”) and operating independently is committed to creating a lasting impact in the lives of vulnerable and excluded children, their families and communities. We are therefore in kind inviting stakeholder, partners, sponsors, donor’s and funders to work with us and improve the lives of millions of children by providing them access to protection, basic education, proper health, a healthy environment, livelihood opportunities and participation in decisions which affect their lives.